There day was soon here and with it being all contained under one roof at the Three Horseshoes wedding venue I was able to flick between each party in the morning rarely missing a beat. I think I was in and out of the girls room a couple or a few times in the morning whilst flicking back to the guest arrivals and the groomsmen doing there thing. Laura and Andy were so lovely to watch. In the morning they were both pretty nervous even though neither of them thought so. Once they were together they just fully relaxed. The most bizarre thing was the weather. For once in recorded history we managed to get a hot bank holiday weekend. Temperatures rose to an uncomfortable 23 degrees. I say uncomfortable as those who know me know I like to wear a full suit to my weddings. Well this was the only wedding where I’ve not enjoyed my full suit with long sleeve shirt. It may have been 23 degrees but my body was more like 46 degrees. I battled it to deliver some awesome photographs for Laura and Andy. Laura & Andy had explained how they’d booked The Singing Waiters for their day. I’d not seen The Singing Waiters before and the concept was a little lost on me at first. They basically serve drinks during the drinks reception and then after the last dessert is served in the wedding breakfast they come out and do a comedic medley of around 8 popular songs. I wasn’t really sure how it would go down and was really looking forward to seeing it. Needless to say it was one of the best entertainment performances I have seen at any wedding I have attended. They were so good at blending into the day I thought they actually worked at the venue at one point! 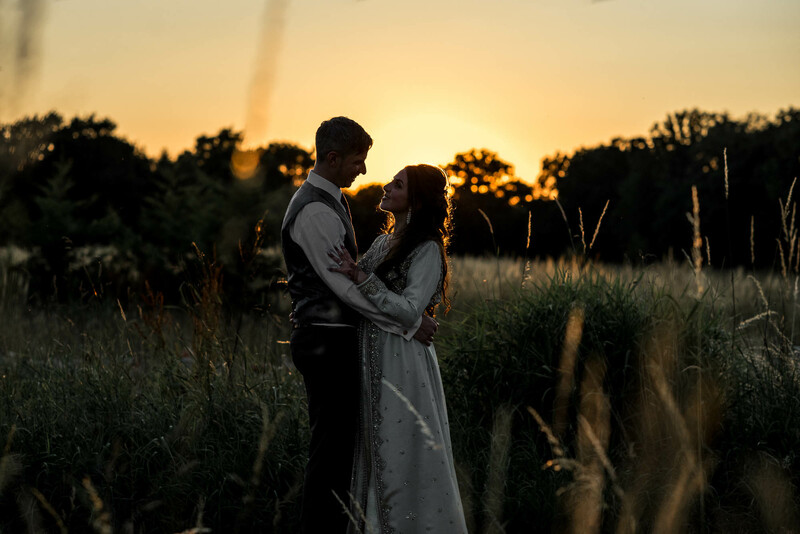 Looking for a Three Horseshoes Wedding Photographer? I’m a relaxed and informal Stoke-on-Trent wedding photographer who often ventures further afield including Staffordshire, Derbyshire, Cheshire, Shropshire and the rest of the UK. I don’t charge for my travel or accommodation as I love the look of different landscapes in my photographs. If you are interested in having me photograph your wedding whether it’s in Three Horseshoes or elsewhere then CLICK HERE to drop me an email about your day. If you’d like to hear a little bit more about me, my life and my sausage dog you can click here to find my about page.